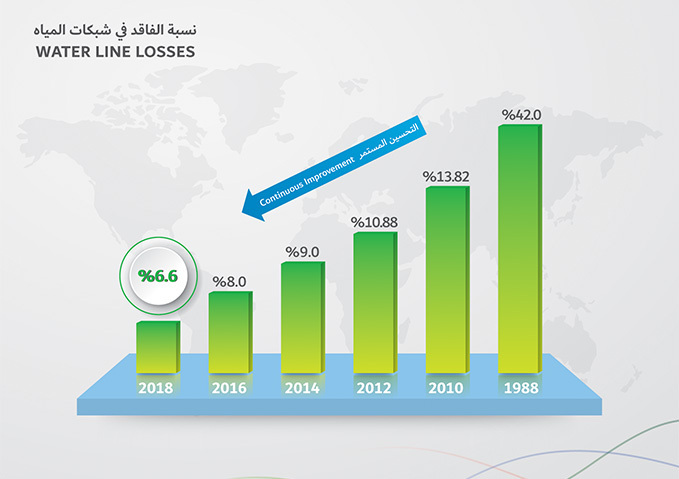 Dubai Electricity and Water Authority (DEWA) has made a new world record by reducing losses in its water networks to 6.6%, compared to 15% in North America, making it one of the lowest in the world. The achievement comes shortly after the UAE, represented by DEWA, was ranked first globally, for the second consecutive year, with scores of 100% in all ‘Getting Electricity’ indicators in the World Bank’s Doing Business 2019 report. The report measures the ease of doing business in 190 economies around the world. Al Tayer said that DEWA will continue its efforts to enhance Dubai’s entire water network by updating old connections and meters, and developing new transmission and distribution networks that conform to the highest international standards.The authority has introduced a Supervisory Control and Data Acquisition (SCADA) system to monitor the water network, enabling an optimal and efficient network operation. DEWA use of the latest technologies in water production, transmission, distribution, as well as control of water networks has helped to making it one of the most efficient utilities in the world.